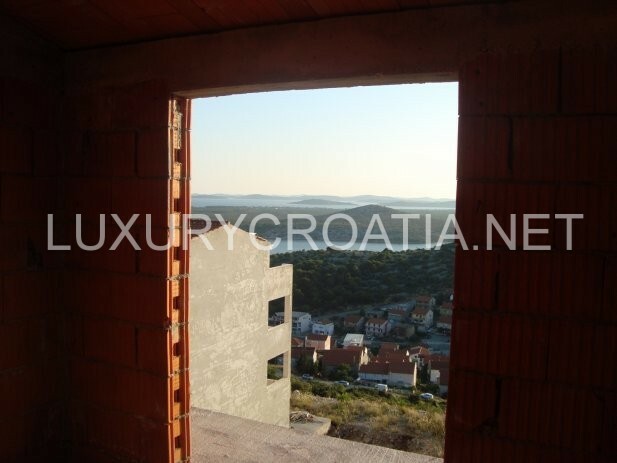 Sea view unfinished house for sale, Sibenik area with beautiful view of the sea. The house has a living area of ​​112 m2 + 70 m2 garage. 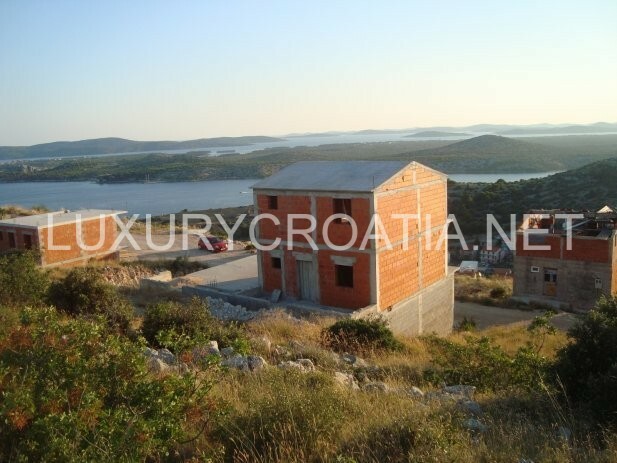 Sibenik is a historic city located in the central part of the Croatian coast on the Adriatic sea where the beautiful river Krka flows into the Adriatic. 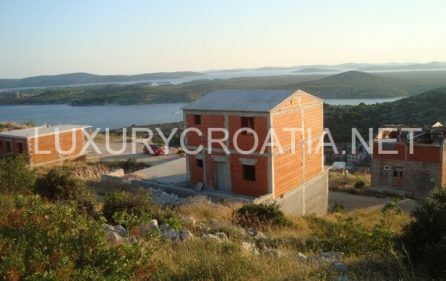 It is a centre of the county of Sibenik and Knin and it extends along the 100 km long coastline from Zadar to Split while laying under the Dinara mountain in the hinterland area. 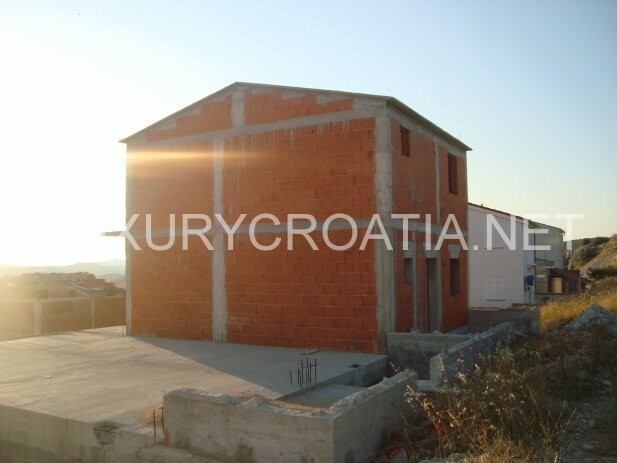 The city is different from other cities on the coast because it was founded by Croats and not by Greeks, Illyrians or Romans, meaning it is the oldest native Croatian city on the Adriatic. 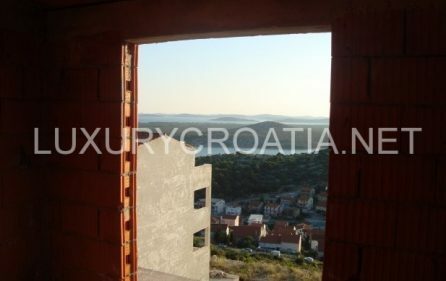 For a while, Sibenik was a seat for the Croatian king Kresimir the fourth so it is sometimes called the Kresimir’s city. Sibenik’s rich history and appearance was influenced by Venice, Byzantium and Hungary who were tossing Sibenik around in the 11th and 12th centuries, and in the 14th century, the hinterland of Sibenik accomodated the Vlachs. 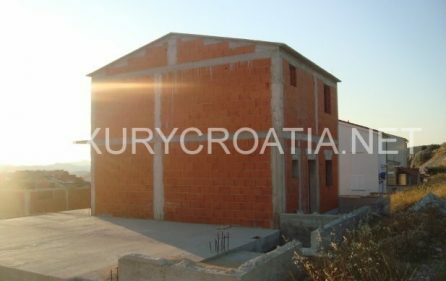 Today, Sibenik has good connections to the surrounding areas, all due to its good road traffic position, and the air traffic which is available from Split’s Kastela Airport (45 km away) or Zadar’s Zemunik Airport (50 km away). When Sibenik was given the official status of a town in the 13th century, the construction of today’s symbol of Sibenik began, the cathedral of St. Jacob. This cathedral in under protection of UNESCO since 2000, due to how unique and complex the construction of the same was. Besides this cathedral, there is a number of churches to explore in Sibenik, some of which have been transformed into galleries, museums or other spaces. The city centre is, just as other Dalmatian centres, characterized by the narrow Mediterranean streets and old houses. 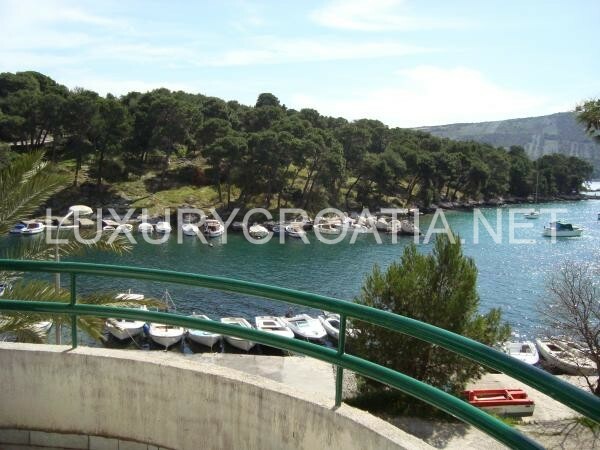 If you want to know more about Sibenik, click here: Sibenik.